When my best friend got pregnant she was concerned about keeping fit and preparing her body for the delivery process and was wondering if yoga for pregnancy was the way to do it. She was worried, however, that yoga might not be safe and she didn’t know how to find the right yoga classes. How can you find the right yoga classes to ensure a safe and healthy yoga experience? •	Before you do anything, check with your doctor. While yoga is perfectly safe for most pregnant women you should never begin any exercise routine during pregnancy without first getting a professional medical opinion. Your doctor can tell you whether or not yoga is right for your particular pregnancy. •	When looking into yoga for pregnancy find an instructor that is experienced in working with pregnant women. It is very important for your instructor to understand the pregnant body if he or she is going to provide you with safe yoga instruction. 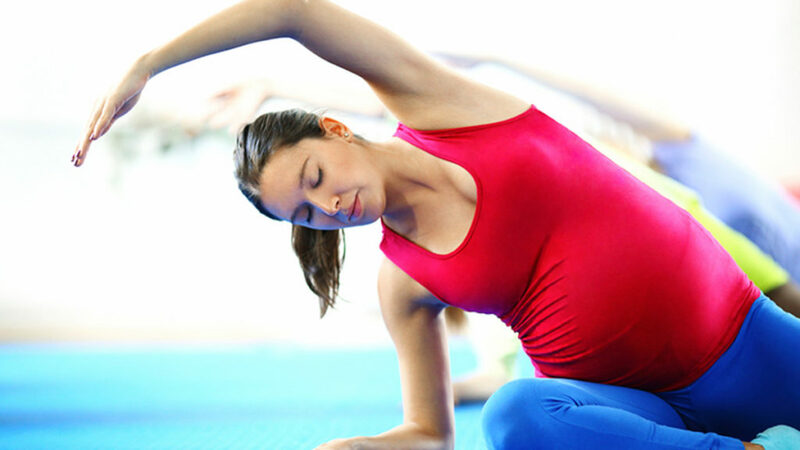 •	Even if you have experience with yoga, avoid vigorous and intensive yoga classes during pregnancy. Your body’s needs will change as your pregnancy progresses and you will want to avoid the strain that advanced yoga asanas can cause to the muscles in your abdomen. •	If you experience any pain or discomfort when doing yoga for pregnancy make sure you stop immediately and let your instructor know. Yoga should be relaxing and if you are feeling any discomfort at all you are probably practicing yoga poses that are too intense. •	If there are specific things you would like to achieve with yoga for pregnancy, let your instructor know. There are poses that can strengthen the muscles you will use during the delivery of your baby, poses that can relieve sciatic pain and even poses to help alleviate morning sickness. •	If you’ve never practiced yoga before, see if you can sit in on a class before actually paying to participate. This will help you get a feel for whether or not yoga is really right for your pregnancy before you part with your hard-earned money. Many yoga studios will even let you participate in one free class before deciding whether or not to sign up. There are many benefits in taking yoga for pregnancy. By finding the right instructor and understanding exactly how yoga can help your body during your pregnancy you can keep fit and learn some tools and techniques that will help you during the labor process.